This green flower fascinated me. Stonecrops or Orphines grow in the Blue Ridge and Great Smokey Mountains. 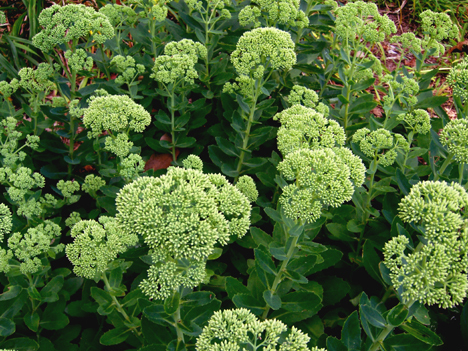 I believe this one is Sedum telephoides…. and I remind my readers that I am not a botanist so I am identifying it as an amateur..
~ by Sandra Lynn Gray on August 26, 2007.